POVA's Board consists of its elected officers and Trustees. Every Board member is accessible to our fellow members by email. If you have any questions, concerns or issues affecting your relationship with POVA or with any member of the Board, or if you'd like to recommend additions or changes to the content of our POVA website, please use the following email address(es) to contact us. We are eager to hear from our members. Questions or other matters related to the website should be referred directly to Chad Spawr who is serving as our interim Web guru (that is a big stretch, but it is what it is!). We're always looking for ways to improve OUR website. Mr. Spawr joined the 6th PSYOP Battalion in September 1968 upon completion of his first tour of duty in Viet-Nam. He led the planning and execution of PSYOP support to the maneuver battalions of 2d Brigade, 1st Cavalry Division, and was frequently deployed to units in contact with hostile forces to provide language services as well as to use PSYOP capabilities to support American forces. He returned to the US in July 1969 and was assigned to HHC 1st PSYOP Battalion, 2d PSYOP Group. In 1970, Mr. Spawr left Psychological Operations for the US Army Intelligence Command, where he performed Counterintelligence duties for the remainder of his military service. A graduate of Michigan State University, the University of Michigan, and the Keller Graduate School of Management, he retired from a long career in Human Resources Management and Organizational Development, and currently operates a private consulting practice based in Michigan. An original Charter Member and one of POVA’s original 5 founders, he has served as President on three occasions, and is a candidate for re-election for the 2018-2020 Biennium. Mr. Dietz, a Distinguished Military Graduate of Northeastern University (Boston), was commissioned a 2LT in Military Intelligence in August 1968. He served in the Republic of Viet Nam where he commanded a Radio Research PLT and functioned as a COMSEC Officer. In 1989, Mr. Dietz joined the 7th PSYOP Group as OIC of the FD (Strategic Intelligence) section. Other assignments at 7th POG included XO, S2 and S3. In September 1994 he assumed command of the 12th PSYOP BN, a job he held until October 1998. From July 1997 to February 1998 he served as the Deputy Commander of the Joint Information Campaign Task Force, Sarajevo, Bosnia. Mr. Hosier was assigned as a Tactical Broadcast Team Member, assigned to the 244th Co. 6th PSYOP Battalion in Vietnam. In December 1967, the 244th Co. was reconstituted as the 7th PSYOP Battalion. In March of 1968, Mr. Hosier was promoted to an Armed Propaganda Team Leader until he rotated out of Vietnam in April 1969. 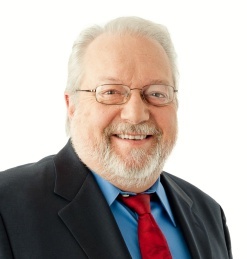 Following his time in Vietnam, Mr. Hosier attended Ball State University in Muncie, IN and graduated in 1973, with degrees in Political Science & History, he also holds a degree in Logistics Finance from Emory University. He held a very successful business career in logistic spanning over 35 years, working for various Fortune 500 companies and as a Logistics Consultant. Project Management Certified, George Washington University, WDC. Matt served in the Army from 1986 – 1989. He served in the Operational Detachment (OPDET) A Co. 1st Psychological Operations Battalion as a 96F Psychological Operations Specialist. He was stationed at FT Bragg and served on various missions in Honduras and Panama on Loudspeaker teams. He is a Life member of POVA and currently serves as a Trustee. Matt is a POVA Life member, and served the past two years as a Trustee. Elected as a Vice President-at-Large at the Cleveland reunion, Matt now steps into a critical role for POVA managing our membership processes, rosters, and membership documentation. Matt's commitments to POVA, our members, and our Regiment are exemplary, and will help POVA define and long-term success. Less than a year after he married, Howard Patrick was drafted into the United Sates Army and spent a few days under 11 months in Vietnam with the First Air Cavalry Division. After declining OCS because of the additional 10-month requirement of active duty, he was sent to NCO school, after which he was promoted to Sgt/E-5. In June of 1968, ten days after the birth of his daughter, Howard left for Vietnam and was assigned to the 1st Cav as a squad leader with a newly formed recon company, E-1-5. While the mission of Echo Company, on paper at least, was primarily to gather information about the enemy without making direct contact, during the unit’s first year of operation it had the highest kill ratio of any unit in the division. Howard earned the Combat Infantry Badge before the end of his first week in Vietnam. Shortly before Christmas, he was transferred to the 2nd Brigade’s S-5 (Civil Affairs) unit as the NCOIC . In addition to participating in regular civil affairs activities, his duties also included Psyop air missions, during which he worked closely with Chad Spawr. On his last leaflet drop mission, with only weeks to go before rotating back to the states, his helicopter came under fire by VC .51 caliber machine gun fire. Even though the engine was knocked out, the pilot was able to bring the chopper down without any casualties. After his discharge, Howard went back to work as a computer technician with IBM. He has over 20 years of experience in the computer and technical training fields, going from a maintenance and repair expert on medium and large-scale main-frame computer systems to a technical instructor providing his technical knowledge and expertise to other technicians. That was followed by establishing and running two private post-secondary technical schools. became a member of POVA and is now a POVA Life member. Colonel Curt Boyd was born in Framingham, Massachusetts. Col. Boyd was commissioned from Norwich University as an Infantry officer in 1984. From 1985 through 1991 he held a variety of Infantry assignments, from platoon leader through company commander, serving with 3/36 Inf. in Germany and 4/325 Inf at Fort Bragg, North Carolina. In 1992, after completing training, Col. Boyd became a Psychological Operations officer and proceeded to language school in 1994 at the Defense Language Institute and graduate studies at the Naval Postgraduate School in Monterey, California before being assigned to a series of positions at the 4th Psychological Operations Group (Airborne), serving as a detachment commander, group operations officer and battalion executive officer. In 2004, he served as the deputy director for Special Operations Proponency at USAJFKSWCS and later was assigned as the assistant chief of staff, G3, United States Army Civil Affairs and Psychological Operations Command. From the summer of 2007 to 2009, Col. Boyd commanded the 4th Psychological Operations Group (Airborne). Prior to his retirement, COL Boyd served as Chief of Staff, USAJFKSWCS. His civilian education includes a bachelor’s in interdisciplinary studies from Norwich University and a master’s in national security affairs from the Naval Postgraduate School’s special operations and low-intensity conflict curriculum. From August 2005 to June 2006, Boyd completed a fellowship at Harvard University’s John F. Kennedy School of Government. Col. Boyd’s awards and decorations include the Legion of Merit, Bronze Star Medal with oak leaf cluster, Defense Meritorious Service Medal with oak leaf cluster, the Meritorious Service Medal with oak leaf cluster, Combat Infantryman Badge, Expert Infantryman Badge, Master Parachutist Badge with bronze star, Pathfinder Badge and the Ranger Tab. Col. Boyd is married to the former Carolyn Sage from Ashland, Massachusetts. They have two children. Ilya Nemtsov enlisted in the Army Reserves in 2002 and was assigned to 2POG HHC in Parma, Ohio as Information Technology Specialist (MOS 74B). In 2005 after graduating from Cleveland State University with Degree in Business Administrations Management Information’s Systems and completing ROTC program he received his commission as 2LT in Signal Corps. After completing Signal Officer Basic Corse (25A), served as 2ndPOG Group S6. In 2009 he was deployed in support of Operation Iraqi Freedom and served as S6 for 16th Psychological Operations Battalion – Psychological Operations Task Force – POTF, Baghdad, Iraq. Upon his return from Iraq in 2010 and completion of Signal Captains Career Course he was reassigned back to 2POG HHC. In 2012 he graduated from PSYOP Officer Qualification Course and shortly after deployed in support of Operation Enduring Freedom to Afghanistan where he served as a Radio Chief for Combined Joined Psychological Operations Task Force – CJPOTF, ISAF- Kabul, AFG. Upon his return he was assigned to 13th POB - 350th Tactical PSYOP Company, Twinsburg, OH as PSYOP Product Development Detachment OIC. During his time with 350th TPC, he participated and served as PSYOP SME in multiple EUCOM/NATO Exercises that include: Exercise Rapid Trident - 2015 in Ukraine, JMRC - Operation Allied Spirit IV - 2016 in Germany and Exercise Saber Guardian - 2016 in Romania. In 2017 he was assigned back to 2POG and served as Group S5 – FUOPS Officer. Currently, MAJ Nemtsov is assigned to 13th POB - 319th Tactical PSYOP Company, Arden Hills, MN as Company Commander. He works for Progressive Insurance as a Senior IT Systems Engineer, married, has one child and live in Willoughby, Ohio. Brett joined the 18th PSYOP CO (TAC)(DS) of the 10th PSYOP BN when he enlisted at 17 years old and served as a 96F & 37F in propaganda development through 1994, also spending time in the 307th POC before returning to the 18th now designated as the 318th. Brett actively supported deployment of Desert Shield/Desert Storm team members and operations during the war. He is a lifetime member of POVA, a member of the PRA, Old Crows and Sons of the American Revolution. Brett is the current President of the Gateway Chapter, the first Chapter in POVA history. Brett has worked for The Boeing Company since 2008 and is currently the cybersecurity technical lead for the optimal enterprise integration effort. He has worked in cybersecurity and risk mitigation for over 18 years. Brett holds several professional certifications including Certified Information Systems Security Professional (CISSP), Certified Secure Software Lifecycle Professional (CSSLP), Certified Information Systems Auditor (CISA) and Microsoft Certified Systems Engineer: Security (MCSE). Brett has been identified by CompTia as a Subject Matter Expert in Information Security and serves on the CompTia Senior Technical Advisory Council. Brett is also an adjunct instructor at St. Louis University teaching cybersecurity courses. As an active member of his community, he was elected to public office in 2006 and 2009 for the Bayless School District Board of Education and served as the President of the Board of Education. Brett also participates in several volunteer roles including President of the Association of the United States Army (AUSA) - St. Louis Gateway Chapter, member of the Veteran’s Administration Gateway Community Veteran Engagement Board, member of the Leadership Team for the Meramec Valley Community Emergency Response Team, Ground Team member of the Eureka Fire Search and Rescue Team and the past Chair of the Affton Community Betterment Association. Brett is a member of the Fontbonne University Council of Regents and also serves on the advisory Boards of both Defender’s Gateway and the Warrior Transition Network. He has recently been appointed as the new Army Reserve Ambassador for the state of Missouri. Rod is one of POVA's Charter Members, joining in 1988 and a continuing member ever since. He was assigned to the 6th Psychological Battalion based in Bien Hoa from July 1969 to July 1970. I was what was called a "Flyer", meaning I flew PSYOPS missions with the AIr Force and dropped leaflets and played pre-recorded messages on loud speakers. These missions were over III Corps and IV Corps. During my time with the 6th Bn, I was sent to the field to work PSYOPS with the 11th Armored Cavalry Regiment based in Quan Loi, RVN. During this time I performed helicopter missions as well as land operations to various villages in the area. Upon my return to the States, I resumed my career in radio broadcasting at several radio stations around the country. I have been a News Director in Boston, Philadelphia, Tampa and Denver. I presently am a News Anchor at WBZ radio in Boston. SSG Gudets Joined the Army Reserve in 2000 and attended Basic Training at Ft. Benning Georgia and followed on to Ft. Jackson for AIT as a Heavy Wheel Vehicle Mechanic and subsequently the Vehicle Recovery Specialist Course. He then assumed his assignment with the 300TH Postal Unit out of Homewood Illinois. In 2003 he was reassigned to the 416th Engineer Command for Operation Iraqi Freedom and was selected to move forward for ongoing operations as a Senior Mechanic. In late 2003 he was reassigned to B Co. 863rd Engineer (Vertical) where he was assigned as the Senior Mechanic until being reassigned to HSC 411TH EN BN (Combat Heavy) and was assigned as a Technical Inspector and Senior Lead Mechanic. In 2005 he requested assignment to HSC 16TH Psyop BN as a Lead Mechanic for HSC during this time he attended Warrior Leadership Course at Camp Ashland, Nebraska. In 2006 he later deployed and was assigned to Special Troops Battalion V Corp under MNCI-IRAQ as a Quality Control/Quality Assurance NCO. For the past 19 years he has served the Army Reserve and 20 years as a Journeyman Diesel Mechanic in the Beverage Industry. Mr Hobbs commenced his Psychological Operations career in 1999 after completion of the PSYOP Qualification Course when he joined the 9th PSYOP Battalion (Tactical)(Airborne), 4th PSYOP Group (Airborne). Here he served as Tactical and Product Development Detachment Commanders in Company B; and deployed TPD 940 to Kosovo in 1999. In 2000, Mr Hobbs served as the Non-Lethal Effects Branch Chief, Brigade Coordination Cell, US Army Training and Doctrine Command’s Transformation Task Force designing the Stryker BCTs. Returning to FT Bragg in 2002, Mr Hobbs served a short stint as the 8th PSYOP Battalion XO before moving to 4th PSYOP Group S3, and then Group XO. In 2004 he worked PSYOP Regiment transformation as G8 PSYOP Force Development Strategic Planner, USACAPOC. In 2005, COL Hobbs served in the 101st Airborne Division (Air Assault) as the Division PSYOP Officer and as Battalion Commander, 2nd Brigade Special Troops Battalion, 2nd Brigade Combat Team & 502nd Infantry Regiment, deploying twice to Iraq. Post command, Mr Hobbs managed the careers of over 1,100 Officers as the Chief, Civil Affairs and PSYOP Branches. As a PSYOP Officer he served a joint tour as USSOUTHCOM’s Director, J39 Information Operations Division and Joint Cyber Center. Mr Hobbs culminated his Army career as the PSYOP Regiment’s 2nd Commandant, USAJFKSWCS. Manny Salazar enlisted in the Army Reserves at only 17 years old. Shortly after graduating high school, he transferred to the Active Duty ranks and was assigned to the 2nd ID in the Republic of Korea. It was during this tour in Korea that he saw his first international incident and associated turmoil “up close”, with the death of the founder of North Korea, Kim Il-Sung. Manny later served in the 24th ID, the 1st AD – where he was a member of the first units to support the implementation of the Dayton Accord in Bosnia and moved on to the 82nd Airborne Division for 5 years, in which the events of 9/11 and the Division’s initial deployments to Afghanistan occurred. Joining the ranks of PSYOP later in his career, Manny completed the PSYOP pipeline in October 2005 and was assigned to the 8th Psychological Operations Battalion at Fort Bragg. Manny was fortunate enough witness major historical events and to be deployed with exceptional units during this time, including the Task Force which brought an end to Abu Musab al Zarqawi in Iraq, and another Special Operations Command, where he was working out of the U.S. Embassy in Islamabad, Pakistan, during the Osama Bin Laden raid. During the 10 years that Manny served in A Co. 8th POB as a Detachment / Operations Sergeant, he deployed multiple times to Iraq, Pakistan, Qatar, and various CENTCOM nations in support of U.S. and international objectives in Yemen. Shorter TDY trips also allowed him to briefly serve in Europe and Africa. During the 4th PSYOP Group split, which allowed for the formation of the 8th PSYOP Group, as well as the short lived “MISOC”, Manny served as the first Group S-3 Operations Sergeant Major for 4th PSYOP Group, during that period of realignment. Manny retired from the Army in October 2016 after serving 25 years, and continues to reside in the Raleigh, North Carolina area. Manny has started his own small business and is currently working on producing an independent documentary film. During the filming, Manny completed a solo motorcycle trip around the United States and met with people and businesses along the way in an effort to increase unity in the United States and help bridge the military – civilian cultural gap. Timothy Ruiz joined the Army Reserve while in college in Idaho in 1984. After training he moved to the 19th Special Forces National Guard in Utah serving with the signal detachment at Camp Williams. In 1986 he transferred to active duty and was assigned to the 176th Signal Company at Fort Lewis, WA, E Co, 67th Signal BN in Bremerhaven, Germany was his next assignment then back to Fort Lewis with signal support to 1st Special Forces Group, Signal Detachment. In 1991 he reclassed into PSYOP and was sent to Fort Bragg for training and assignment to 9th PSYOP BN, 4th PSYOP Group, 1st PSYOP BN and a tour at the Special Warfare Training Group. His next assignment was in 2003 to SOCSOUTH in Puerto Rico and the move to Miami. 301st PSYOP Company in San Diego in 2006. His last assignment was 2009 as Battalion Operations and Training Sergeant with 5th BN, 95th Training Regiment in Lubbock, TX before retiring back to Georgia in October, 2010. In October of 1965, I was drafted into the United States Army. I took my basic training at Fort Dix, New Jersey. Upon completion of Basic Training I was assigned to 2D Psychological Operations Group, HHC 13th Psychological Operations Battalion, Fort Bragg, North Carolina, as an offset printing pressman. In July of 1966, I received orders for deployment to Vietnam and was assigned to 26th Psychological Detachment. The detachment arrived via troopship in August and was assigned to the 6th Psychological Operations Battalion, 245th Company in Nha Trang. In November of 1966, the detachment was transferred to 6th Psychological Operations Battalion Headquarters in Saigon. My job was to print and produce leaflets. I eventually was promoted the rank of Specialist Fifth Class. In August of 1967, after serving my time in the Army, I was Honorably Discharged. Upon my return to civilian life I eventually started a career in Law Enforcement. I was appointed to the Suffolk County Police Department in Suffolk County, New York. During my thirty years with the Police Department I was a Uniform Patrol Officer, Plainclothes Officer, and eventually promoted to Detective. After retiring from The Police department I worked twelve years as a part time Code Enforcement Officer for the Village of Bellport, New York. I am Lifetime member of POVA and been a member since 1993. I have held the positions of Trustee, Vice President, and President. I was elected President in 2008 and held the position until 2016. I am currently a Trustee. Hammond Salley, a military BRAT, attended the University of Florida where he received an Army ROTC commission in the Infantry. During the next 21 years he had assignments throughout the United States, two tours in Germany and two tours in Vietnam. Hammond has served in Armored, Airborne and Mechanized Infantry Divisions as well as in Special Operations units. He is Airborne, Ranger and Special Forces qualified. In 1967 he was the assistant S-3 of the 6th PSYOP Battalion when it became the 4th PSYOP Group and was in Saigon when the TET Offensive commenced. He was shortly reassigned to the Special Operations unit known as MACVSOG and sent to Forward Operations Base-3 (FOB-3) colocated at the Khe Sanh Combat Base during the siege of Khe Sanh. On his second tour in Vietnam, he was assigned to 24th Corps as the Deputy G-5 for PSYOP. After returning to CONUS, and after serving as the S-3 of the 1st Bn, 508th Infantry, 82nd Airborne Division, he was brought to the Division Staff as the Deputy G-5 for Civil / Military Operations. After retiring from the Army, he started a second 20 year career as an aerospace analyst / project manager for McDonnell Douglas / Boeing. His initial assignment was on the design team for the C-17 troop / cargo transport aircraft. His later focus was on development of classified future defense related projects for Boeing's 'Phantom Works'. In keeping with the family military tradition, his son Russell is an Air Force Academy graduate and his son Robert is a West Point graduate. Tim Wallace is a 5th generation Army veteran who served as an illustrator with 1st POB from 1987-1991. During his enlistment he was deployed throughout Central and South America in support of numorious missions during the Cold War, Drug War, and Panama Invasion. !n 1990 he was assigned to 9th POB as part of the leaflet campaign during Desert Shield and Desert Storm. After military service Tim went back to college to earn a teaching degree from Temple University, and taught art in the public schools in Hershey Pennsylvania until he retired in 2012. Currently Tim resides on the farm he grew up on in Linglestown Pennsylvania. His vision and mission is to use his farm as a 501C3 non profit that supports area food banks with fresh produce for military families and veterans at risk for hunger in South Central Pennylvania. 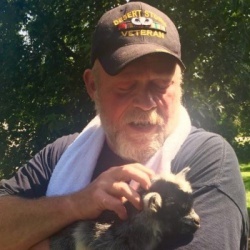 It is also the future goal for his farm to be a place where veterans who are struggling both physically and emotionally can find support, peace, and healing by serving others. In addition to non-profit farming he is still publishing his art work, and is currently working on several graphic novels about “military service, going to war, and coming home”. which chronicles the history and accomplishments of Psychological Operations (PSYOP) and Psychological Warfare (PSYWAR). Ed has published several articles on the subject of PSYOP, and has been cited as an expert source on the subject of psychological operations/warfare by television, magazine and newspaper media. He has been interview by C-SPAN, The Discovery Channel, the British Broadcasting Corporation (BBC), Canadian Broadcasting Corporation, Australian Broadcasting Corporation, and National Public Radio. He has also worked with MSNBC, CNN, ABC, CBS, assisting them in their research and providing background material for the development of news stories on the subject of Psychological Operations/Warfare. Ed has also worked with writers from US News and World Report, N.Y. Times, USA Today, The Atlanta Constitution & Journal, The Dallas Morning News, The Weekly Standard, Palm Beach Post, Wired and Icon Magazines in their development of articles on the subject of PSYOP/PSYWAR. He also worked very closely with the Documedia Group in their development of a documentary on Psychological Warfare for the History Channel's "Sworn to Secrecy" Series. Ed served multiple tours with the 4th Psychological Operations Group, (Airborne). His assignments included, Psychological Operations Officer, Assistant S1 and later S1 (Adjutant), 1st Psychological Operations Battalion (Airborne), Assistant S3 and later S3 (Plans and Operations) for the 1st Psychological Operations Battalion (Airborne), Chief, Plans, Programs and Force Development (PPFD) Officer and later S1/Adjutant for the 4th Psychological Operations Group (Airborne) during Operation Desert Storm. Ed also served as a Special Forces Project Officer with the United States Army John F. Kennedy Special Warfare Center and School where he was part of a team that developed course material for use in the Special Forces Qualifications Course. Additional stateside assignments were with XVIII Airborne Corps, the 24th Infantry Division, and Army Material Command. Sergeant Major Herbert A. Friedman (Ret.) was discharged in 1995 after 26 years of honorable service. He has held numerous positions in the military, holds three military occupational specialties, several special skills identifiers, and is an honor graduate of the United States Army Sergeants Major Academy at Ft. Bliss, Texas. He has 22 military awards and decorations and has graduated numerous military courses, including the Senior Battle Staff Course, the First Sergeant's Course, The Military Instructor Course and Psychological Operations. Since retirement he has been awarded New York State's most prestigious military medal, the Conspicuous Service Cross. He has also been awarded the Town of Hempstead’s Veterans Medal for his dedication “for the betterment of his brethren,” Nassau County's highest decoration, the Executive's Distinguished Service to Veterans Award, and the Nassau County Firefighters Veterans Medal of Valor. He has served as the mid-Atlantic spokesman to the press for the Psychological Operations Veterans Association (POVA), and the PSYOP history editor of the Psychological Operations Association (POA) journal Perspectives. He was the American representative of the international PSYWAR Society. 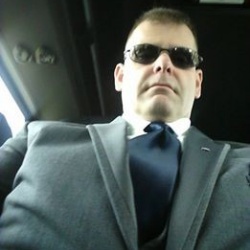 He has written over 200 articles on the subject of PSYOP and has been the expert source in close to a dozen published books published around the world. He has been interviewed on Japanese television, ITN, and on the American news show Extra. He has appeared on both the British and Canadian Broadcasting Corporations (BBC and CBC) and worked with the authors of articles in the New York Times, USA Today, and other American and foreign newspapers. He has been interviewed by the BBC Program Today, their world news program Newsday, their program Witness and their world broadcast program the History Hour, and Newshour. His interviews on psychological warfare have appeared in Cabinet Magazine, Icon, Print Magazine, the Psychologist, Good Magazine, Psychological Operations [Iran]and Défense & Sécurité Internationale [France]. He has guest-lectured on the history of PSYOP to both the United States Army enlisted and officer's psychological operations training students at Ft. Bragg, NC. SGM Friedman constantly researches and writes about psychological operations. He currently has over one hundred and sixty articles published on various sites on the Internet such as Psywarrior.com and Psywar.org. He is always willing to lend his expertise to any project on that subject.